Your search is over! 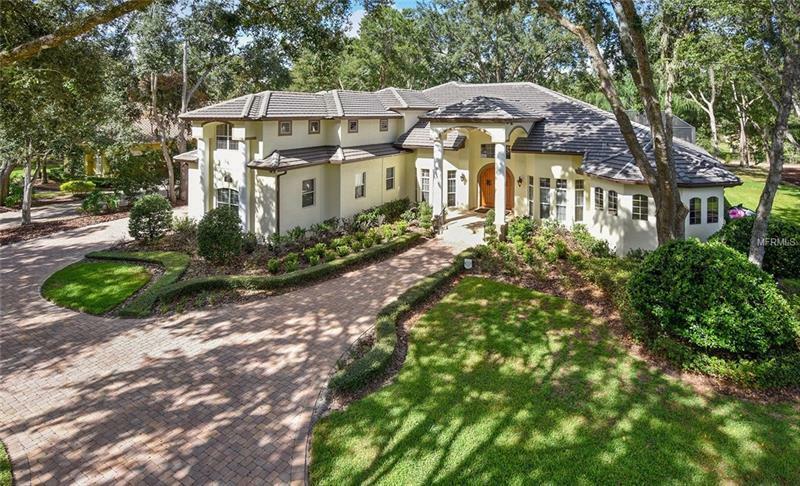 This stunning custom estate home features over 5500 sq. ft. of living space and is located on over an acre in the highly sought Markham Woods Corridor in the gated community of Markham Estates. The home features a true 5 bedrooms floorplan with separate office downstairs master and upstairs game room and theatre room. As you enter the home you will be taken away by the amount extensive details and custom wood work that was put into the home. The gourmet kitchen in the home is a true show stopper and features beautiful customer cabinetry amazing granite counters new top of the line gas Wolf range Sub-zero refrigerator 5 ft triple bowl Kohler sink 2 dishwasher and separate microwave and steamer. The kitchen opens to the family room which features corner sliding doors which brings the inside out and makes the space great for entertaining. The homes outdoor area is as amazing as in the inside. The covered lanai includes an outdoor kitchen with a gas fireplace and fire pit. The outdoor kitchen features a 40â Lion grill and refrigerator and sink. The master retreat and spa features a luxurious bath with his and hers custom vanities jetted tub and large walk around shower. Additional features include: a large wrap around paver driveway and oversized three car garage beautiful wood and travertine flooring throughout and large laundry room and mud room with built in cabinetry. Markham Estates is conveniently located to the Cross Seminole Trail I-4 417 and soccer complex.